Annual membership support keeps KQED on the air from day to day and year to year. Endowment gifts provide support for the long term, providing the foundation of KQED’s financial security and ensuring that public media will be enjoyed by future generations. 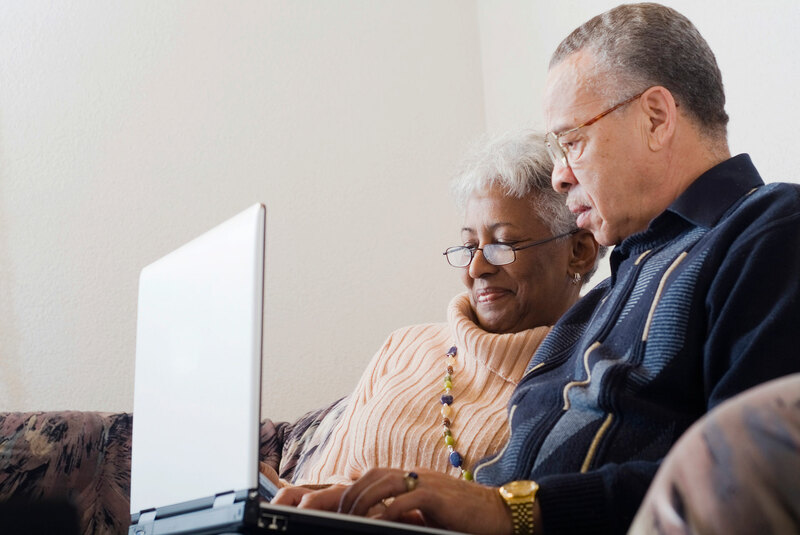 You may make a current gift to the endowment during your lifetime or through your estate plan. The Endowment is invested strategically to preserve its principal value. Payout from the Endowment supports KQED’s programs and operations. As our Endowment grows, it provides an expanding source of stable funding to help us weather the ups and downs of the economy and keep KQED strong and creative. Legacy gifts made without restrictions are, by KQED Board policy, directed to the Board-Designated Endowment. We prefer this kind of gift because it gives KQED flexibility in future years. Specifically, it allows the Board, in case of a financial emergency, to access the principal for KQED’s immediate needs. The terms of the Board-Designated Endowment may be found in the KQED Endowment Management Policy, Exhibit B (PDF). View the entire KQED Endowment Management Policy (PDF). Gifts to the KQED Permanent Endowment are dedicated to supporting KQED’s operations over the long-term. The terms of the Permanent Endowment may be found in the KQED Endowment Management Policy, Exhibit A (PDF). Please contact us about any substantive changes you or your attorney may wish to make to the suggested language below, or for more information. We want to be sure that KQED will be able to comply with your wishes. View the entire KQED Endowment Management Policy (PDF). We understand that you may have special programming or other funding interests and may want to direct your gift in a specific way. KQED is pleased to honor your wishes. If you have strong program funding preferences, you may designate your gift to one of the Permanent Endowment Program Funds listed below. These categories are broadly described to ensure that your gift can still be used in the way you intend far into the future. If your funding interests are even more specific, our Gift Planning and Endowment staff would be pleased to work with you and your professional advisor to develop or review any special gift language you wish. We share the goal of ensuring that your gift is described in a flexible enough way that it can be used in the manner you intend. With your Endowment gift of $250,000 or more, KQED will establish, at your request, a named Endowment bearing the name(s) you designate. In this way, the remembrance of your generous gift and/or the memory of your loved one will live on. Individuals and families or other groups may combine gifts over time to meet the minimum amount. While we prefer that your named Endowment gift be unrestricted so that we can direct it to our Board-Designated Endowment, you may direct your gift to our Permanent Endowment, and designate one of our Permanent Endowment Program Funds, if you wish. Please contact us for details. The KQED Board of Directors has determined that our primary long-term Endowment management objective is to preserve purchasing power, while providing an available, stable, and constant stream of revenue to help meet KQED’s operational needs. The Board has established Investment Guidelines (PDF), which include objectives, asset allocations, performance benchmarks, and a spending rule. 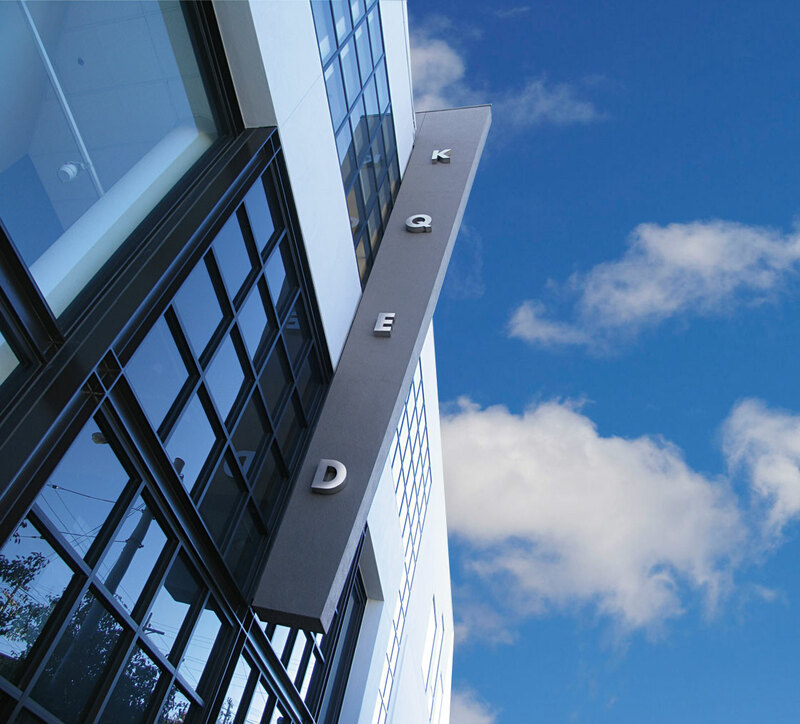 Endowment investment performance is regularly reviewed by the KQED Investment Committee. The Board’s current Spending Rule (PDF) for the Endowment provides that withdrawals may not exceed 5% of the Endowment’s market value averaged over the prior twelve quarters. 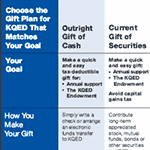 As to Permanent Endowment, KQED Board policy established in May 2009 is that KQED may make withdrawals only to the extent the Endowment’s value exceeds original gift value. The Board has determined that it will protect the original value of donors’ endowment gifts, even though California law now permits spending of these funds under some circumstances. This policy could be modified at some future time, but it reflects our respect for our donors’ expectations that their gifts to public broadcasting will last far into the future. By informing KQED of your Legacy gift, or by making a current Endowment gift, you help us prepare for our future. You also give us the opportunity to thank you for your generosity and invite you to join the Jonathan C. Rice Legacy Society, where your membership will encourage others to make similar gifts. Your Endowment gift will help ensure that future generations will continue to enjoy the same high level of quality public broadcasting you and millions of others have enjoyed. or fill out the request for information form.